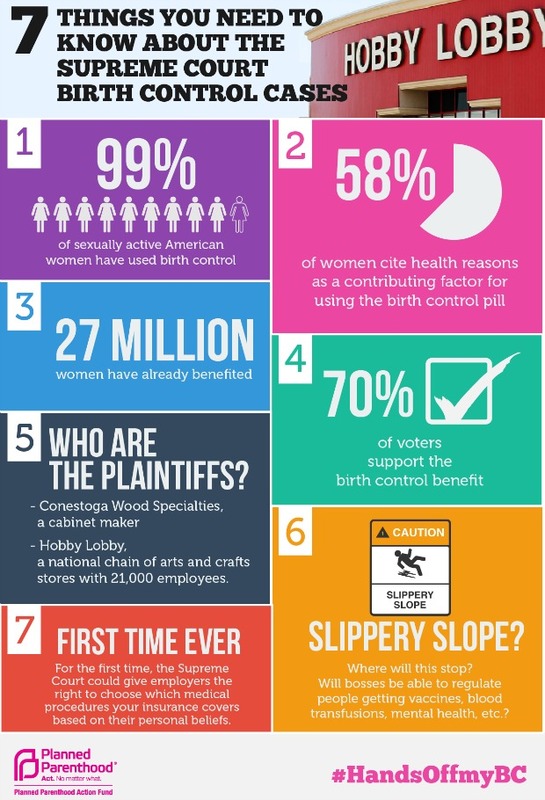 For many, Obamacare means free birth control through your employer’s insurance. That’s exciting — after all, 1 in 3 women voters have struggled to pay for prescription birth control, and a year of birth control costs roughly the same as five weeks’ worth of groceries for the average family! As Amy Davidson protests in The New Yorker, “If employers can pick and choose what they cover…almost willy-nilly, then the whole premise of minimum standards falls apart.” Plus, as Davidson points out, Hobby Lobby’s owners may be Christians, but not all of its 13,000 employees are. You listening, Hobby Lobby?